Motorcyclists in Africa have specific needs and face varied terrain, especially those who use their motorcycles for work, but for years they've mostly had to make do with Chinese and Indian imports. A company in Kenya is now building a bike built specifically for the local market. Nairobi-based Kibo debuted its K150 last year. 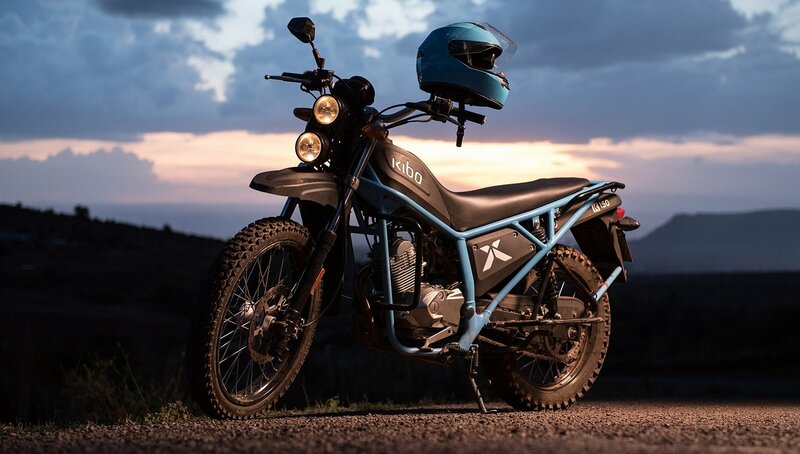 Kibo aims to revamp Kenya’s somewhat precarious and dangerous motorcycle landscape by pairing better design with rider education, maintenance, and insurance. K150s come with a free helmet, reflective jacket, one-year warranty, three free oil changes and a rider training course at a discounted fee. I visited Kibo’s offices to learn more about their mission and to take a K150 for a spin around Nairobi. Kibo believes the ideal motorcycle for Kenya is one that is capable of handling traffic, all kinds of roads, off-road riding, can carry loads and gets good fuel mileage. Photo by Jake Bright. On Kibo’s design thesis, company Sales Manager Milton Maingi described it as the inverse of Kenya’s most commonly used motorcycles. These are Chinese and Indian imports predominantly piloted by delivery and taxi riders, known as boda boda locally. Motorcycles are often put to work carrying loads in Kenya. The Kibo K150 was designed to handle the weight. Photo by Neil Palmer. The Bajaj Boxer is a popular workhorse motorcycle in Kenya. It's inexpensive, but is not built to be as rugged as the Kibo K150. Kibo photo. Maingi pointed to the Bajaj Boxer 100 as one of the most visible motorcycles in Kenya. Enter Kibo’s K150. From the ground up, Kibo designed the motorcycle for local terrain and use purposes. The company set out to create “a bike that can ride on- and off-road, is strong enough to take passengers and loads, that is serviceable with affordable parts locally, and has a good fuel consumption rate,” Mangui said. From first look to straddle, the K150 gives the impression of ruggedness, functionality, and simplicity. Its tubular frame integrates front to rear with a uniquely designed saddle, tank, fenders, speedo, and headlights. The K150 has rear footboards, instead of pegs, which double as cargo platforms. I took one out for a spin with a Kibo employee as a pillion guide, before I was turned loose to test it solo on dirt. The K150 felt and rode just like it looked. The bike was easy to pilot with a solid and balanced feel as I accelerated through the gears. 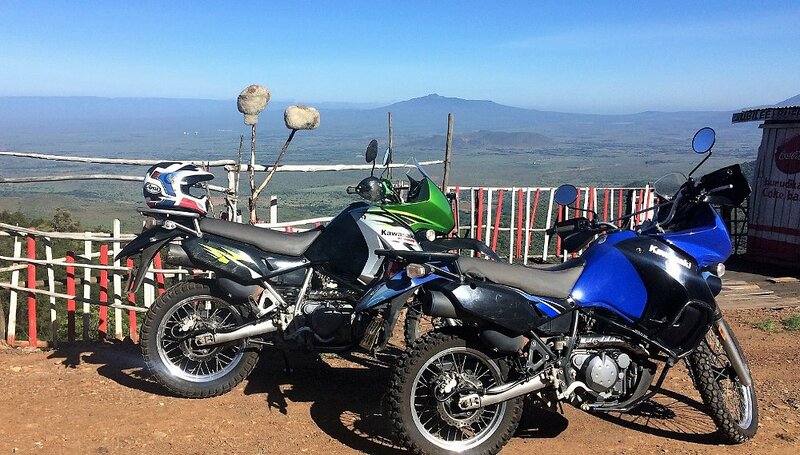 A one-hour trek around Nairobi highlighted the conditions for which Kibo’s debut moto was designed. Starting in the city’s industrial park, on through a shanty market, and then riding into an open field, the terrain varied from paved blacktop and torn-up asphalt to dirt, mud, and single-track. I The K150 handled it all well. The bike was sturdy, steady and stable. It allowed me to keep a confident riding posture in Nairobi’s notorious traffic, where motorcycle lane-splitting is the order of each day. With ample suspension travel and off-road-size wheels, the Kibo K150 is designed to be used off-pavement, as well as on the street. Photo by Jake Bright. When I went full off-road, it compromised little in handling from street to dirt. In addition to the robust frame, the Kibo provides 160 mm (6.3 inches) of suspension travel at the front and 140 mm (5.5 inches) at the rear, more than some of the inexpensive competitors. Wheels are 21 inches at the front and 18 inches at the rear, which also contributes to the Kibo's ability to handle rough terrain. The K150 could definitely use some more power, but with some downshifting and clutch work I was able to keep the 150 cc four-stroke surging forward and up hills, even with a pillion on board. The air-cooled, four-stroke engine is sourced from a Japanese manufacturer, but Kibo did not reveal who makes it. The transmission is a five-speed. The passenger floorboards also provide more options for securely attaching cargo. Kibo photo. A standout characteristic was the K150’s ease with passengers. The Kibo’s handling was least affected by someone on the back than any bike I’d ever ridden. This is attributable, I believe, to the K150’s specific frame and ergonomic design. It was built to carry loads. Load capacity is 550 pounds. That’s a very market-specific feature, since Kenyans haul all sorts of things on their motorcycles. During my Nairobi ride, I saw someone with a full-size baby crib strapped to the back of a Bajaj Boxer. Perhaps some future Kibo riders. Kibo photo. As for buyers, Kibo is targeting fleet sales first, primarily in the delivery space, and some recreational sales for Kenyan off-roaders. The US$4,000 price is still out of reach for most of the country’s individual boda boda riders. Greater economies of scale through sales could bring down the price and make the K150 a more viable option for them. Uber and Taxify’s recent entry into Africa’s two-wheeled ride-hail market, and plans to offer bike financing programs, could also open up more of the taxi market to K150s. 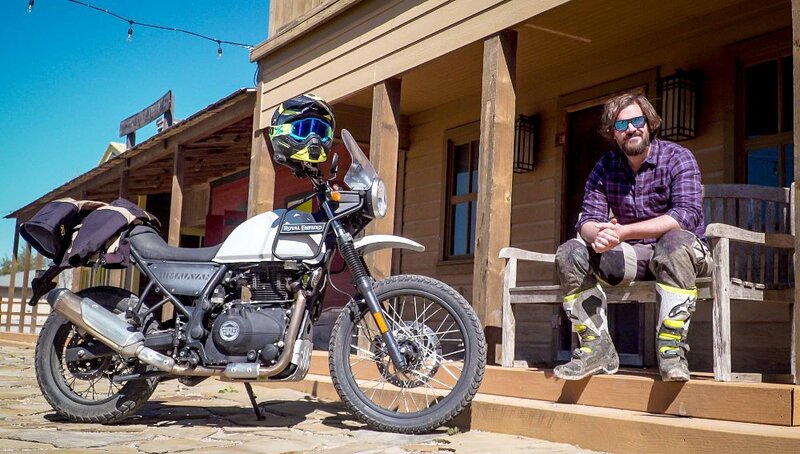 Local technologist and motorcycle enthusiast Erik Hersman snagged a Kibo for testing by some local moto-taxi drivers and it received pretty high marks. So what’s next for Kibo? The company will soon open a rider training academy to further improve the safety of those piloting their bikes. Kibo is also in talks with Kenya’s national police about fleet sales. In something akin to American cops flying the red white and blue on Harleys, Kenyans could soon have their own version of motorcycle patriotism — their flag adorned to police-piloted Kibos.